Parenting Orders are often made when parents are separated and need to formalise the arrangements for where the children will live and who they will spend time with. These are made in the family law courts. Parentage Orders are made to transfer parentage from a surrogate and her partner, to the intended parents. These are made in State Courts. These Orders provide for the Birth Certificate to be changed, removing the surrogate and her partner, and replacing their names with those of the intended parents. 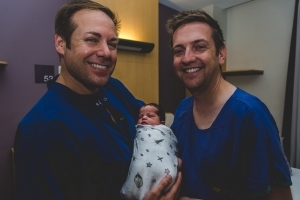 In Australian domestic surrogacy arrangements, the appropriate Orders are Parentage Orders. In some international surrogacy cases, intended parents may choose to obtain Parenting Orders to recognise both parents as having parental responsibility for the child, once they return to Australia. This is generally not necessary where both the intended parents are already listed on the Birth Certificate. You may be told that you must have a Parenting Order if you had a child through international surrogacy. This is often not the case. Parenting Orders can only be obtained if you have evidence of the surrogacy arrangement, and can provide evidence that the surrogate and her partner consented to the Order being made. The Parenting Order application process can be complex, time-consuming and expensive – if you don’t need to do it, why would you bother? But if only one (or neither) of the Intended Parents is listed on the Birth Certificate, Parenting Orders can provide acknowledgement that the intended parents have parental responsibility of the child (and that the surrogate does not), and can assist with accessing services such as Medicare and Centrelink.